As a full-service relocation company, Done Right Movers Scranton offers professional storage services with affordable and secure storage-in-transit and control and save options for your goods, belongings, and vehicles. Our specialized storage facilities provide flexible and easy-to-use solutions when you are faced with schedule challenges or when you are distraught because your home or office is out of space. When storage facilities are not maintained and handled properly, your goods and property get exposed to environmental elements and may incur potential damage. The save and control approach provides maximum protection to your precious belongings. Below are the benefits and reasons you should consider storage service with us if your relocation require it. Double protection layer - cartons are stored in wooden containers to protect them against wetness and moisture. The crates are resistant to pests, and we provide optimal protection. 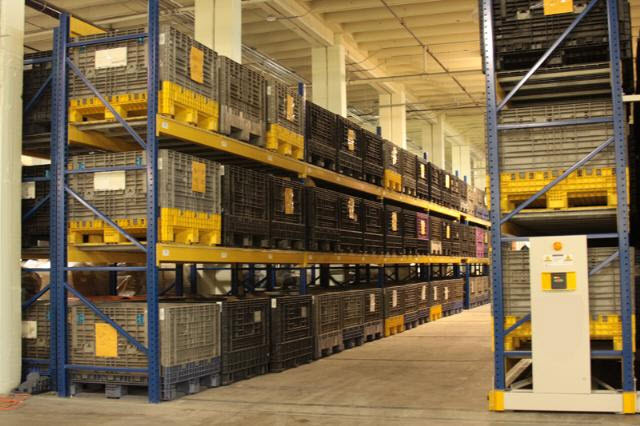 Storage for valuable items - the warehouses of this company are state-of-the-art. This means that we are incorporated with advanced security systems and temperature control functions. Quality Controlled - the workers of Done Right Movers utilizes well-defined policies and procedures that are developed to prevent emergencies and to cope with calamities. Spacious and Advanced Storage Areas - the facilities where your belongings will be stored are newly roofed warehouses, and each of them is incorporated with climate and humidity control and fire protection measures. Close Supervision - each storage area is supervised and secured by a team of experienced professionals. Long Term and Short Term Storage - you can avail our storage services and use their facilities for as long as you want or as short as you want. Our storage solutions are flexible and cost-effective. Done Right Movers offers SIT services to make your moving experience run efficiently and smoothly. While you wait for your new office or home to be ready for you, the SIT options offered by this company can secure your items for a short period. With SIT storage, your belongings, goods, or vehicle are stored in a secured mobile container. When it is time for your stuff to be transported, it enables movers to bring them to your new location immediately. Whether you are reorganizing your office or home or you are moving to a new location, short and long-term storage options are excellent services to avail to get rid of clutter, organize your move, and keep your possessions safe. Done Right Movers is one of best Scranton moving companies, so we offer secure, safe, and affordable storage solutions. Our various services, including commercial and residential storage options, include short and long-term storage solutions that are budget-friendly, flexible, and customizable. We take security and safety seriously. So, you can be assured that your possessions are in safe-keeping if you choose Done Right Movers Scranton.